CINCINNATI -- A man experiencing homelessness froze to death early Tuesday morning at a bus stop downtown, according to the leaders of a local organization. Ken Martin has worked as a volunteer for and received assistance from Maslow's Army, according to a post from Sam and Susan Landis, co-founders of Maslow's Army. The organization's account lines up with a report from Cincinnati police, which said officers were dispatched to government square at 5:45 a.m. Tuesday with the report of a man unconscious. The man was "determined to have died from unknown cause and there was nothing suspicious at the scene," according to Sgt. Eric Franz. 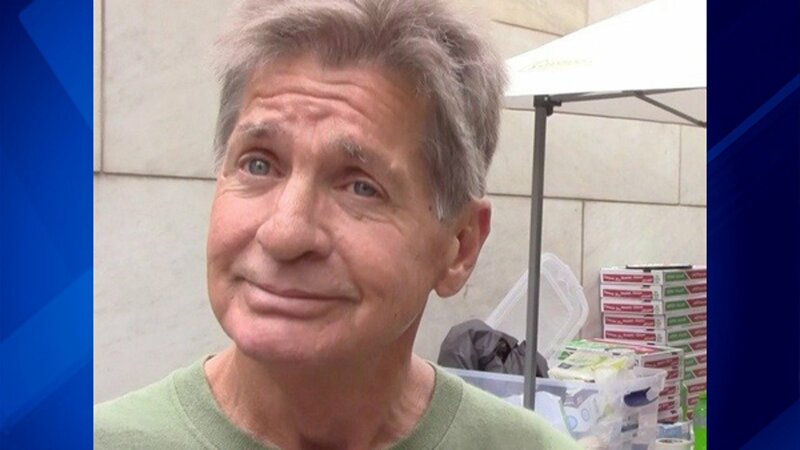 "We met Ken on our first Sunday outreach on Fountain Square almost one year ago," the Landis' Facebook post said. "He was inspired to get his life together and began taking steps towards self improvement. For well over five months, Kenny continued to serve with Maslow's Army during our Sunday outreach and he was able to show others that change is possible through his personal testimony." In May, WCPO reporter Lucy May interviewed Martin for a story on Maslow's Army. Martin told May that, before Maslow's Army, "he was living in a doorway or under a bridge." He said he experienced homelessness for four and a half years prior to finding Maslow's Army. Martin the organization helped restore his self-respect and dignity. At the time of the interview, he was four months sober and had housing. "A lot of it had to do with me being ready, me making the decision to accept the help," Martin said of his sobriety. "The help was there, I just had to reach out and grab it." Martin was battling addiction, the Landises' post said. He "had a slip in August" and and wasn't able to fully recover. The organization met with Martin last week, the post said. The Landises called his death "senseless." City Councilman Chris Seelbach tweeted about Martin's death around 1 a.m. Wednesday morning. "We must do better," he tweeted. "Just a matter of priorities." The Landises said they plan to channel their "justified anger" at Martin's death to "voice (their) opinions now." "As Maslow's Army has been proposing for almost a year, we need a 24-hour facility where the homeless can come out of the cold or heat," a Facebook post said. Maslow's Army plans to hold a ceremony to honor Martin at their regularly-planned outreach event on Jan. 28 at 12:30 at Fountain Square, the Landises said. The organization is taking donations for a memorial. There is a Ken Martin at the Hamilton County Coroner's Office, according to administrator Andrea Hatten, but his cause of death is still pending.